Rarely, and I do mean rarely, does a novel come along that actually moves me like this one. Skipping right to the chase, READ THIS BOOK. Between the stories in this novel and the creative, dynamic use of language, it was easy sometimes to feel as if I was an onlooker rather than merely a reader looking into other people's lives. It's also a timely read ... at the end of this month, elections are scheduled once again in Zimbabwe, and Robert Mugabe, in power since 1980, is once again a candidate. The novel is divided into two parts, the first set in Zimbabwe and the second in the US. The central focus is on a character named Darling, a young girl who lives with her mother in a tin shack in an area ironically named Paradise. It hadn't always been so -- until their entire neighborhood of brick homes was razed out of the blue by bulldozers whose operators were protected by the police, she and her family had lived a good life until they were displaced due to policies set in motion by the country's ruler. Displacement is a major theme in this novel, which also deals also with the concept of identity as people move away from their homes -- in Darling's case, to the United States -- and the ties that keep them connected to what they've left behind. The first part of the book is comprised of Darling's observations about her friends, her life, and what it's like living in a country where poverty, political corruption and betrayal of a cause are day-to-day realities, while the second part takes Darling to the US, where she lives with her aunt's family and can't return to Zimbabwe because of her visa. "It's hard to explain, this feeling; it's like there's two of me. One part is yearning for my friends; the other doesn't know how to connect with them anymore, as if they are people I've never met. I feel a little guilty but I brush the feeling away." While she tries to fit in with her new friends and her new life, she constantly alters different aspects of her outward life while remaining an honest observer of what's going on all around her in her new home. A lot of it, plainly and simply, is not pretty, either in her native home or the one she's come to. There's so much more to this book that but above all, the language the author employs here makes you feel less like a reader and more of an onlooker. There are some sections in this novel that are incredibly difficult to read, but the ugly realities are not the main focus here -- it's more a case of living in altered realities at particular moments in time and how people adapt -- and the costs of doing so. 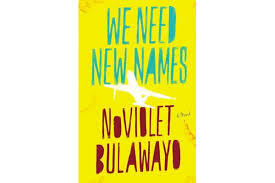 For me, the first part of this novel absolutely sings and stuns at the same time -- and though the second half continues Darling's astounding honesty in her observations, for the most part I just didn't find it as compelling as the scenes in Zimbabwe. I also have to admit to being worried about the author choosing a young girl as the voice of her narrative, but believe me, I was relieved to discover that there's no young adult feel to this book at all -- on the contrary, this is very mature territory. Super book, and highly recommended. Funny, but the reviewers who gave this book low ratings seemed to have missed the entire point -- as in this one from Amazon: "Another "poverty African" story to appease Western tastes." Obviously this person has no clue.